The annual awareness lecture for Wijeya Newspapers Ltd. (WNL) drivers was held at the company auditorium on Sunday. The lecture sponsored by Toyota Lanka, was conducted by veteran engineer W.A. Weeratunga. 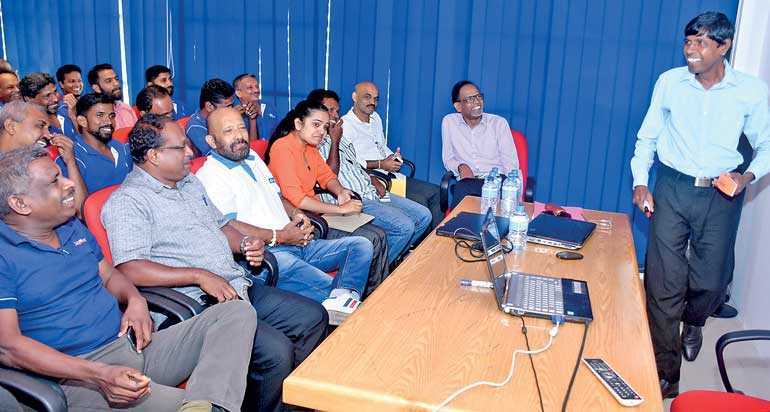 Toyota Lanka’s Udara Indumal, Rajeewa Kahandage, Shalinda Lakmal, WNL Director Lal Jayawardane, AGM Transport Sri Lal Dissanayake and others attended the event.